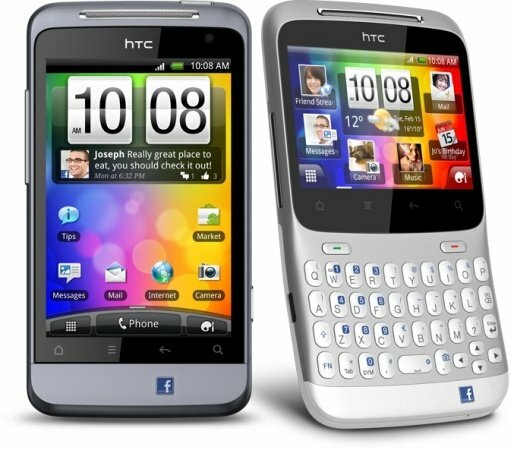 British network O2 is now offering HTC's new Facebook phones, the ChaCha and Salsa, on-contract and on Pay & Go. The ChaCha can be yours for £209.99 with a PAYG SIM, or for free on contract a number of 18 and 24-month contracts. Free contracts start at £21.50 for 24 months, or £26.50 for 18 months. If you go for a cheaper contract, you'll pay £60 up-front for your ChaCha. The Salsa will set you back a little more. On Pay & Go, it'll cost you £299.99, and on-contract subsidized prices are a bit higher too. On a 24-month contract, £27 per month will be enough to get you a free Salsa, while the cheapest 18-month contract with a free phone costs £37 per month. Cheaper contracts are available, and you'll pay up to £105 for the phone if you choose one of these. Hit the source links to view the complete list of O2 tariffs for each phone.